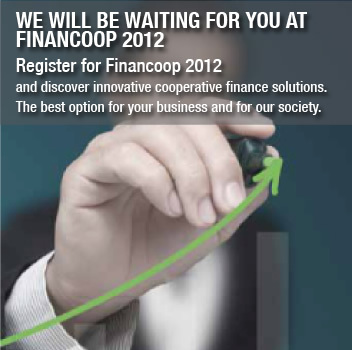 If you work in financing social economy enterprises, come to Financoop 2012. There you will find out about experiences, products, services, organisations and individuals with whom you can establish relationships and find answers to all your questions. -	What experiences have companies had that have been funded with participation loans? -	How do participatory securities work? -	What is patient capital? -	Which type of businesses are typical of the social economy sector? -	How do they manage to finance initiatives for local, social and environmental development? -	What’s that about employee-shareholder cooperatives? -	Is there a guide to analyse social economy enterprises? -	What’s cash-pooling about and how can it help improve my finances? Who does it already and why? -	Who can invest in our company and how do they do it? Registration to attend Financoop: € 50.